What MORE Would You Like in Your Life and in Your Work? Because Private Coaching is Customized for Each Client, Pricing for Your Program Will Vary Based on Your Needs and Desired Outcome. Please Contact Us to Schedule a Time to Personally Connect and Discuss Your Specific Interest. Please See Our FAQ Page for More Information About Professional Coaching. 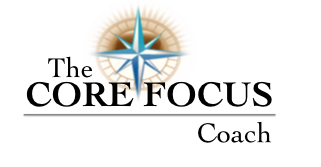 Private Coaching typically consists of a 6 - 12 Month Engagement to Complete the Program, 3-4 Sessions Monthly, Online Assessment Package, Customized Results Reports, Online Private Client Access Area for Scheduling and Coaching Assignments, Action To Be Taken Between Coaching Sessions, Private Client "Virtual" Meeting Room, Worksheets, Additional Resources and Recommended Reading.